This article is about the Las Alturas Enquiry into the collapse of two new Morvant apartment buildings erected by China Jiangsu International Corporation (CJIC) for the Housing Development Corporation (HDC). This Enquiry seems a politically-motivated one into a serious failure of professional practice which could have cost human lives. It is only in its opening stages, but it is already clear to me that this episode is one which contains serious lessons for our country in terms of the role of Enquiries; the role of the Chinese contractors; the culture of non-enforcement which we practice and of course, the impact of targets and political objectives on proper process. Rain had threatened since Friday, and now the morning hung with dark low clouds. It was hot and sticky and still in the high bush where the rig stood in a clearing. Parrots flitted noisily from creeper and orchid festooned trees, and a brightly plumed toucan peeved monotonously. The Rig Superintendent took a last bleary-eyed look at the pump pressures and rotary table torque gauges on the drilling console where it stood front of the driller, and then turned, sore-footed, to descend the ladder from the rig floor. He slumped across the uneven dusty gravel of the location, his shirt wet with sweat, his face showing stubble and drilling fluid smatterings of a three day stretch without sleep. He climbed the few steps to the doghouse. The toolpusher raised eyes from the drilling report. He was a big solid man with strong placid face as black as midnight soot. He had strong very white uneven teeth, and a badly healed scar running across his bare chest. “Go on in Cappie. Get some sleep.” He smiled faintly. “Maybe I’ll try it,” the Rig Super said, yawning and stretching. What we know from local and African media is that 90 students from Nigeria’s Delta Youth Training Programme paid for 9 months accommodation in Barbados at the Infinity Beach Hotel. The students’ management team stayed at the hotel in December, and the students approved of their residence after they were shown photos and videos. When the students arrived in Barbados they were taken to a semi-abandoned dump of a hotel, and found themselves pulling pails of water from the swimming pool to flush the toilets and to bathe. Now reports are surfacing in Barbados and Trinidad of unpaid bills by the organisers. 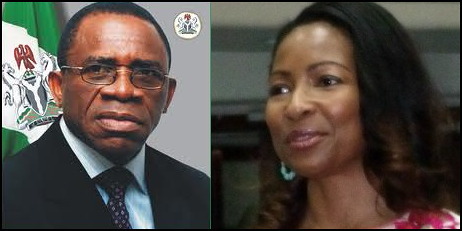 Some of the African press are reporting that Barbadian Donna St. Hill and her alleged lover Nigerian Delta State deputy governor Amos Utuama pocketed money. Africans are calling the story “The Barbados Scam”. “As I’m talking to you now we cannot take our baths because there is no water, some of us had to start fetching water from the pool. Do you know that we almost lost one of us yesterday due to food poisoning as we were told by the doctors? The issue of food is nothing to write home about. I repeat, we have sent a series of messages to the State Governor, Dr. Emmanuel Uduaghan, to come to our aid, but ‘til date we are yet to get a reply from him,” a student told SaharaReporters. The proposed development of Invader’s Bay will be the largest in our Capital City in living memory. The entire process is tainted by fundamental irregularities, any one of which ought to be enough to stop the development. Some of those irregularities at Invader’s Bay include an improper and voidable tendering process; failure or refusal to hold Public Consultations; breach of the Central Tenders’ Board (CTB) Act and most recently, a wrong-sided policy on legal advice. The State has appealed the High Court decision of Justice Frank Seepersad on 14 July 2014 to order publication of the legal opinions on which they had been relying thus far. That hearing is now set for Wednesday 28 January 2015 at the Appeal Court in POS. At the preliminary hearing on Thursday 20 November, the State was represented by a seven-member team of attorneys, led by Russell Martineau SC. 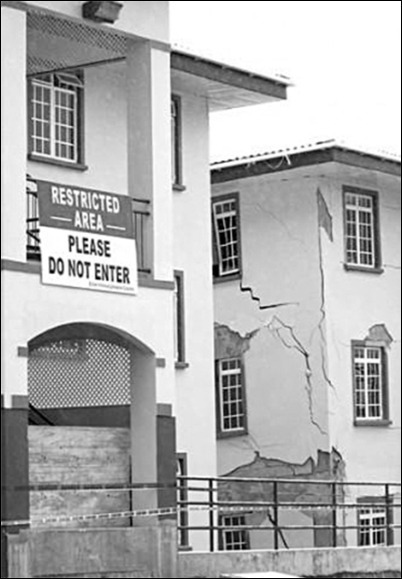 Minister Tewarie has repeatedly told the public that the Appraisal rules for the Invader’s Bay development were first announced in his speech to the Annual Dinner of the T&T Contractors’ Association on Saturday 5 November 2011. That is true, I was there and heard the Minister do just as he said. The issue here is that the closing-date stipulated in the Invader’s Bay Request for Proposals (RFP) was 4 October 2011, which was over one month before the rules were published. Given that fact, the proposers would not have known the rules of the competition and it is fair to say there was no competition at all. None. Just imagine the rules for a Calypso competition being distributed the week after the singers had performed. 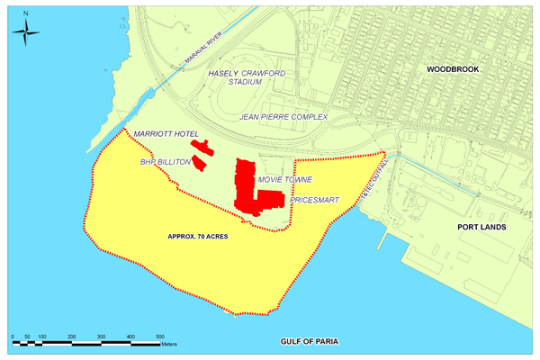 The RFP process for Invader’s Bay was therefore improper, voidable and illegal. The 2014 Muslim Jihad is much, much worse around the world. But the 1990 Trinidad Jihad was a warning. Who knew that Suriname has a vibrant blues underground in the best Chicago / New Orleans / Mississippi tradition? The world comes to me over the internet and mostly I love it. But there is a dark side to the Internet when it comes to spreading the destructive and violent supremacist ideology of Islam. The Saudis distribute their supremacist hate via satellite and internet to private Muslim schools throughout the Caribbean – including in Barbados. 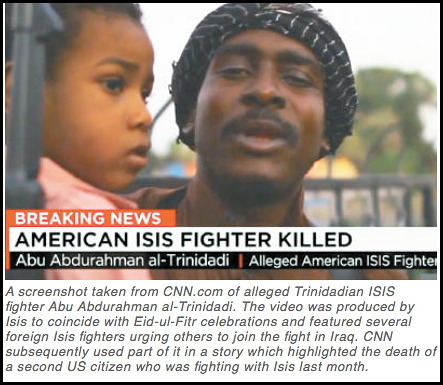 The result in Trinidad is that at least 50 known Trinis have gone to slaughter and behead the infidels (that’s me) while serving as Satan’s emissaries throughout Syria and Iraq. Here in Barbados the Al-Falah Muslim School is teaching Bajan children that “Beheading, chopping off your hands, severe beatings are Islamic rules, nothing wrong in it.” If that weren’t enough, we now have a Muslim-only housing development where no Christians or Jews are allowed to purchase homes. We must abandon Iraq and the Middle East. Let them slaughter each other over words and ideas… but we must take steps in the Caribbean to ensure that these violent people – fueled by their violent Koran – never gain a foothold in our countries. The Islamist apologists and their lackeys are far more concerned with their public relations campaign for Islam than they are for the teachings from the Koran that promote ultra-violence to spread their religion. To those who say that ISIS doesn’t represent ‘true Islam’…. Tell it to ISIS, not me. And bye the way… let’s hear these same apologists declare that the Koran verses about slaying infidels and imposing Islam through force have no place in today’s world. No weasel words. Trinidad’s Joint Select Committee of Parliament is pretending to hold a major inquiry into the administration and operations of the Telecommunications Services of Trinidad and Tobago – TSTT. We say ‘pretending’ to hold a major inquiry because the committee did what they could to limit the debate, disenfranchise citizens and make sure that informed persons are unable to present a proper submission. Our friend Afra Raymond is a thorn in the foot of corrupt Caribbean politicians and business people – and he met the committee’s unrealistic ten-day deadline for submissions. The Trinidad & Tobago Parliament is now conducting an Inquiry into TSTT and this article is an edited version of my submission to that Inquiry. The Joint Select Committee’s (JSC) ‘Invitation for Written Submissions‘ was published on the TT Parliament website on Wednesday 23 April 2014, with the deadline for submissions set at 4:00 pm on Friday 2 May 2014. Only ten (10) days.